Shopping for Orange Is the New Black Travel Cups? All of your favorite characters from Orange Is the New Black on a travel cup! 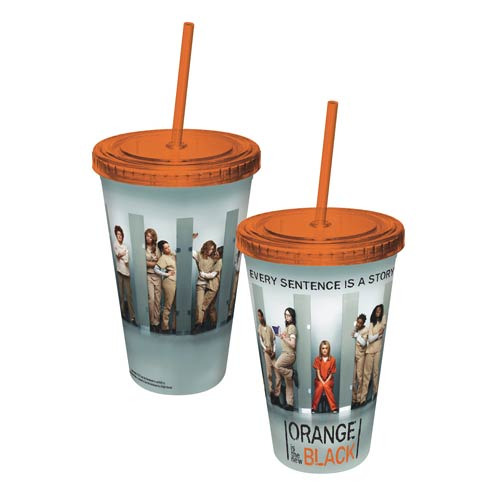 The Orange Is the New Black Cast Travel Cup features the characters from the hit Netflix original series with the phrase, "Every sentence is a story." Holds 16 ounces of liquid. Hand wash only. Not dishwasher safe. Do not microwave.